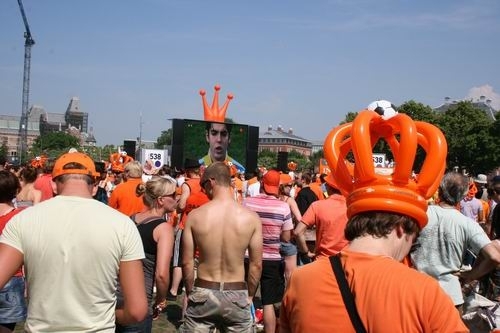 Live at big screen Amsterdam during Holland - Brazil. 03.07.2010 Live at big screen Amsterdam during Holland - Brazil. 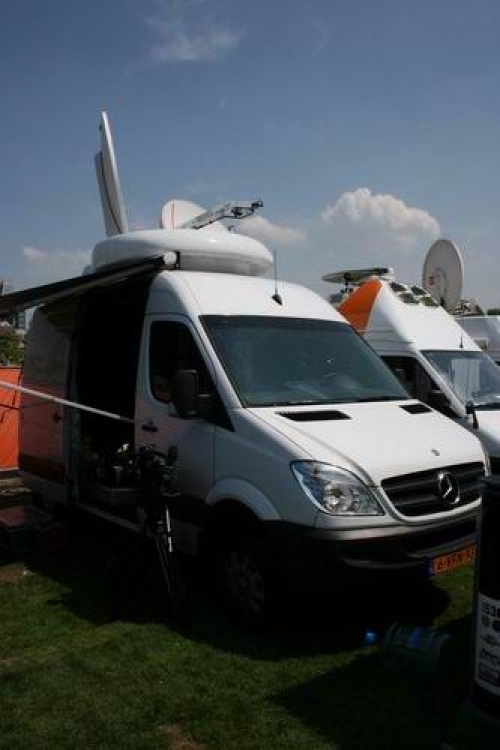 Newslive SNG in Amsterdam at satellite parking. 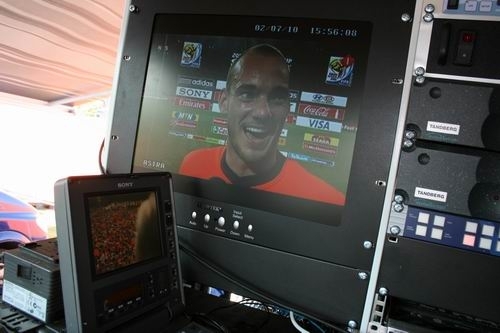 Broadcasting live pictures for Al Jazeera English troughout the game. 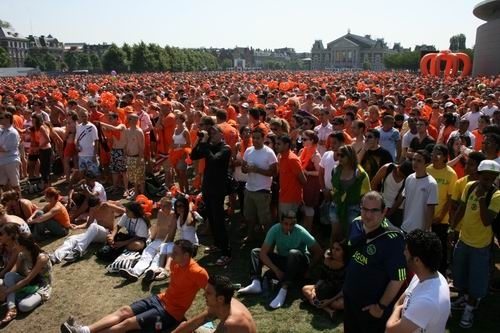 Tens of thousands watch the match.